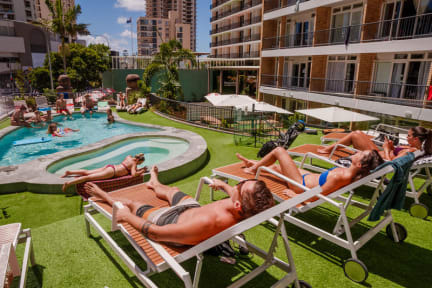 BUNK Surfers Paradise i Surfers Paradise, Australia: Bestill nå! Best hostel I've been to in Australia! Highly recommend it. The aircon didn’t work the whole time when i was there so it got very warm during night. No soap at bathroom. Perfect location.